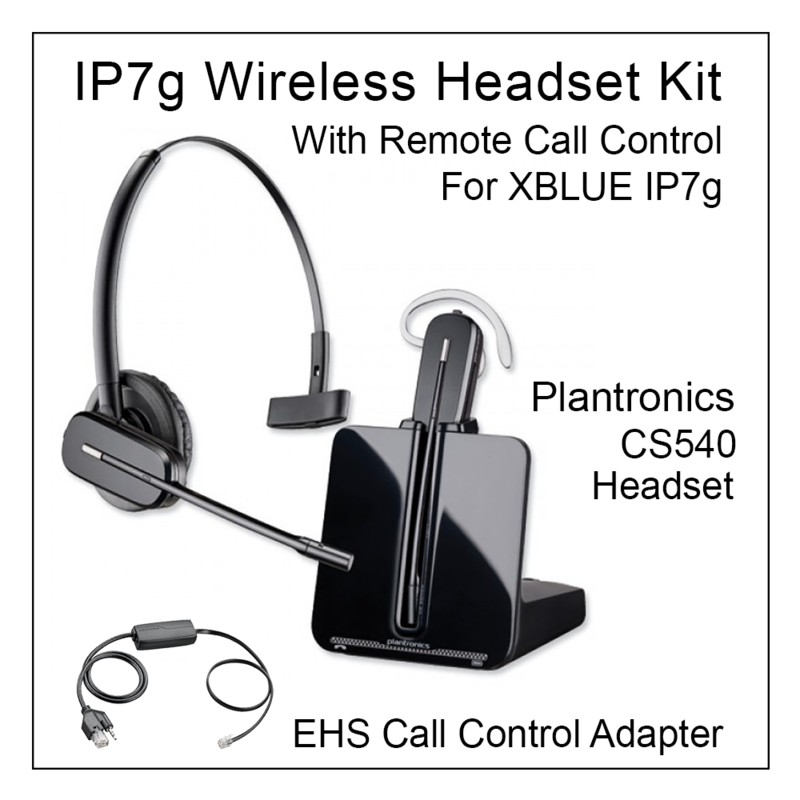 This IP7g Wireless Headset Kit includes required adapter for Remote Call Control. The headset features Plantronics legendary professional grade audio quality, range and battery life. The headset can be configured to be worn over-the-ear or over-the-head. The included adapter connects to your XBLUE IP7g IP Phone and enables hands-free operation.Easy operation: Answer incoming phone calls wirelessly by pressing the button on the side of the headset. End phone calls the same way. XBLUE IP7g IP phone only. Answer incoming phone calls wirelessly by pressing the button on the side of the headset. End phone calls the same way. The headset may also be activated by pressing the “Headset” Button on the XBLUE IP phone. No other programming is required. The Headset button on the Phone must be pressed to initiate and disconnect a call. The headset’s base unit connects to your XBLUE IP Phone using the provided adapter. On the base unit, rotate selector on bottom to fine-tune audio. When you purchase this product on XBLUE.com you receive free technical support from XBLUE to help you set it up for use with your XBLUE system. To receive this valuable service just contact us at 866-925-8312 or click here to send us a message. To provide support all we need is your XBLUE.com order number.